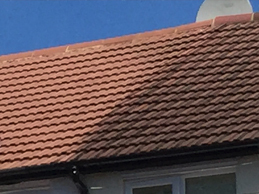 Before and After Pressure Pros Treatment.. 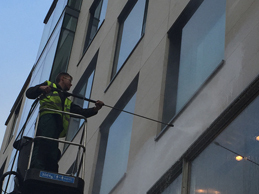 Looking for PRESSURE WASHING in London? 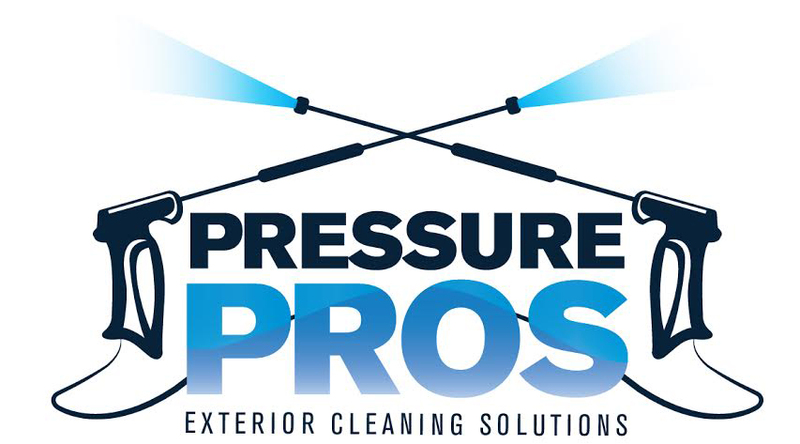 Pressure Pros Provide Professional Surface Restoration across London.We use Industrial equipment and expert industry knowledge to achieve the best results whether restoring a car park, roof, driveway or patio.We also offer a sealing service to protect the surface from further deterioration..
Pressure Pros are a London based company that specialise in all aspects of high pressure washing and exterior cleaning solutions.We clean a range of exterior surfaces including; decking, patios, flag stone, crazy paving, paving slabs, tarmac, concrete, stone, brick, cladding, UPVC, signs, awnings, block paving, canopies, paths, forecourts and driveways. 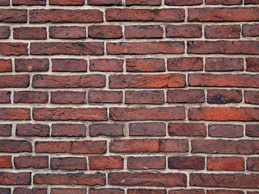 We also clean brick walls, garden furniture, roofs, gutters and much much more. 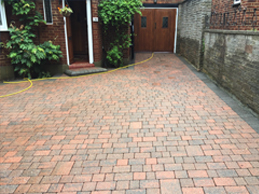 Our driveway cleaning is carried out with the best equipment available to ensure the best results are achieved. 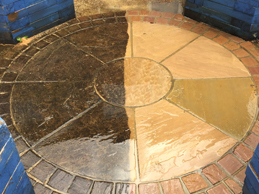 We also recommend to re-sand and reseal block paved driveways or patios to slow down the rate at which the visual astetics deteriorate.